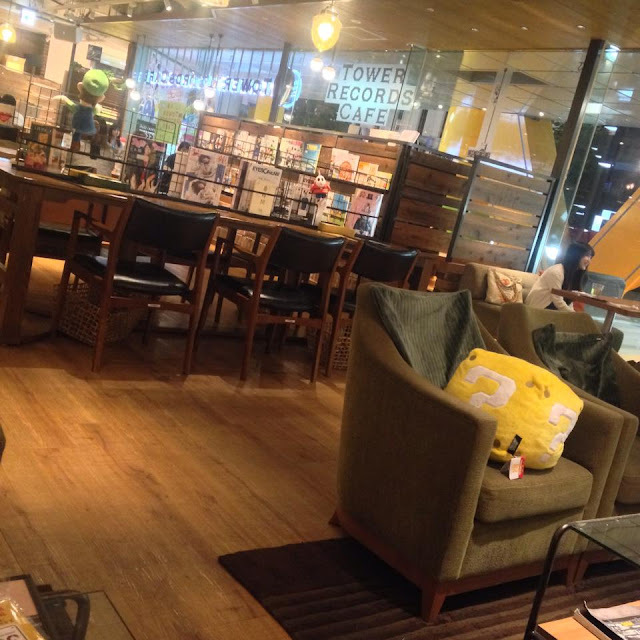 Tower records in Shibuya usually has some kind of collaboration, I made a post a few months ago about the Rilakkuma cafe collaboration they held, but this one was even better! I loved how they made the food and drinks retro-themed for a feel of the good old Mario that I remember as a child. Tower records never go over the top with decorating for collaborations, but you can count on them filling the store with giant plush characters. There were little posters dotted around and outside of Tower records they painted one of the beams to look like a big green pipe. On the big screen they showed little 8-bit Mario animations promoting the collaboration. 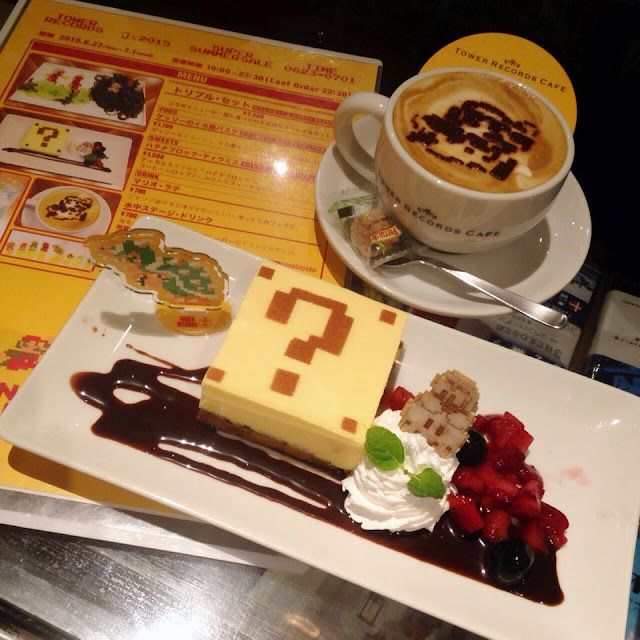 Collaboration food is always expensive, however this time they included a drink set; you could have the Super Mario coffee and one item from the menu for about 2,400 yen. There was a "?" tiramisu and some kind of Mario themed octopus-ink pasta. I opted for the sweet tiramisu, it was pretty delicious although it was yellow and didn't really taste like tirimasu. 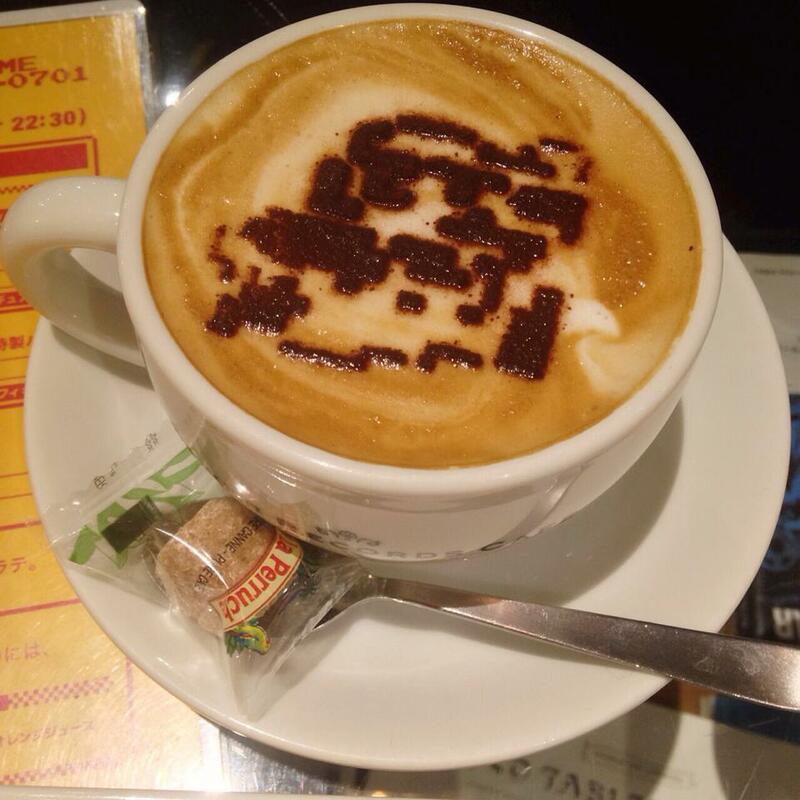 They added whipped cream and made it look like Lakitu flying on a cloud, which was a nice touch. If you bought something from the main menu you got a random Mario toy. 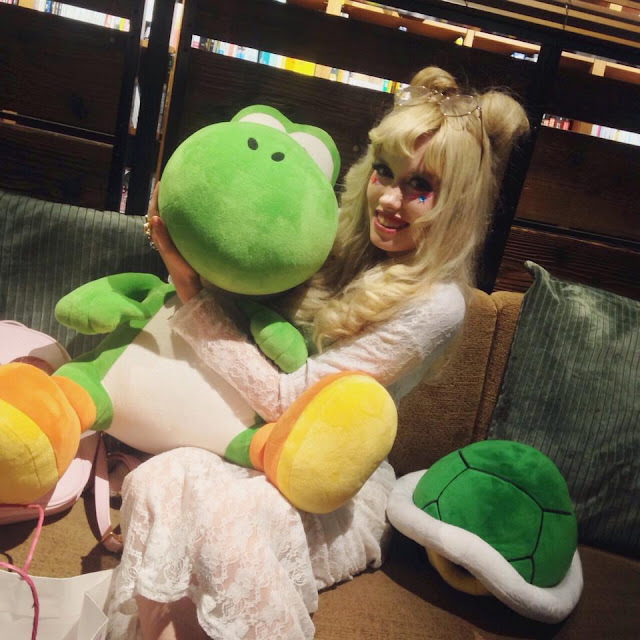 I won the biggest and best; Bowser! We arrived about 9pm, so it was pretty empty and the staff allowed us to have whichever plushies we wanted at our table. Of course I chose this GIANT Yoshi. There was a little stage outside for taking a memorial photo, to make it look like you are jumping out of a pipe. 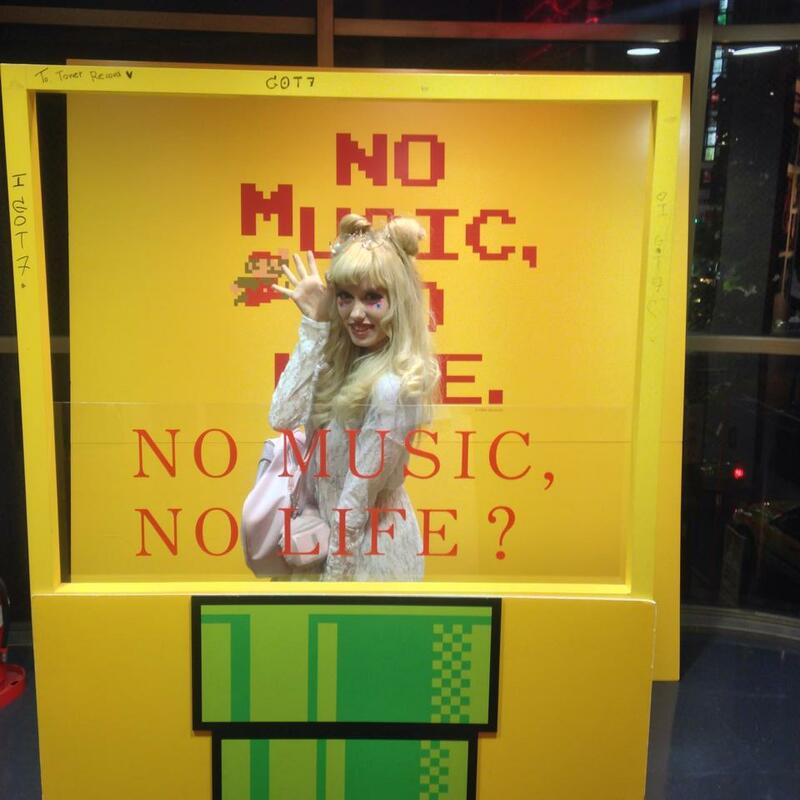 They even included the famous Tower Records logo "No Music, No Life". There is the same collaboration running at Tower Records in Omotesando and Ebisu and in the other stores the menu is different, so I want to visit them all.. I was very inspired by the shop staff at Swankiss in Shibuya 109, wearing this Swankiss long, white lace one-piece, gold-rimmed glasses and pink platforms. 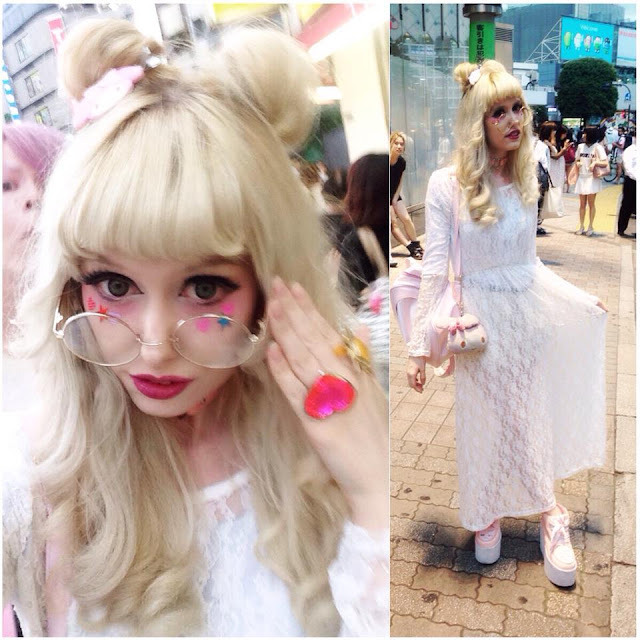 I included my usual face-stickers, sparkles and hair-buns to add some mahou-kei to it. It was pretty humid that day, but this outfit pick was very airy, too.